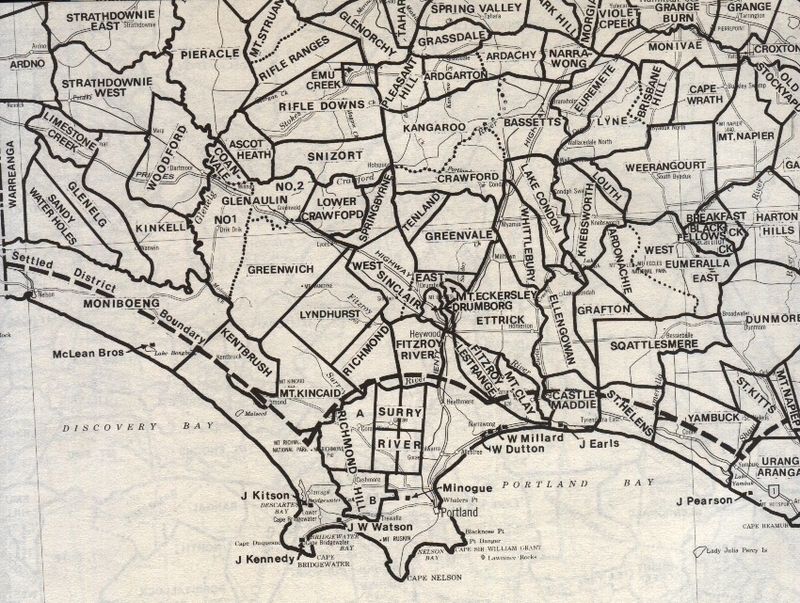 Pioneers and Local History from the Glenelg & Wannon Region of south-western Victoria, Australia. 1870 The London & Australian Agency Corp. Ltd.
1862 Dal. Campbell & Co.
Spring Byrne (S of Hotspur, 10,000 acres) 1851 Edmond Lee McKeand Jnr. 1842 Map .. 1885 Map ..